Gill Bell graduated as a qualified Teacher at Roehampton University, London. She taught and performed creative dance before becoming Administrator of the Sligo Arts Festival where she organised community arts events. Since qualifying with IBPP in 1996 she has been actively involved in both the training and IOBM public events. She maintains her own practice in Strandhill, Sligo and works in The Biodynamic Clinics in Sligo, Killala and Shankill, Dublin. She is an IOBM Supervisor and Mentor. 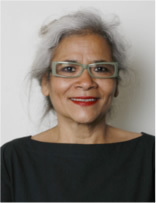 Michele Harris MBE has worked in the field of Social Work with Adolescents as a Manager, Team Leader and Project Manager for over twenty-eight years. She trained and qualified in Biodynamic Psychology and Psychotherapy at the Gerda Boyesen Centre in London. She is a Supervisor and Trainer of IOBM and maintains her private practice in Surrey. Olive Kennedy qualified as a Biodynamic Psychotherapist in 1996. She lives in Killala where she practices at The Biodynamic Clinic and is Deputy Clinical Director there. She also works on a regular basis at The Biodynamic Clinic, Shankill, Co. Dublin and in her own practice in Dublin. 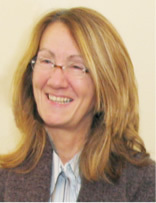 Olive has been actively involved with IOBM students at training and clinical practice level for over 15 years She is a Supervisor of biodynamic and other qualified psychotherapists. Maria completed her training at The Gerda Boyesen Centre in 1987 and joined the GBC Training staff until 1989. She taught biodynamic methods in Mexico part time for 4 years, and has travelled extensively. She co-facilitated stress managment training for primary school teachers. In 1992 she gained a Bachelor of Science degree from the University of East London, and carried out Baby Observational Studies as part of her Psychoanalitical Studies at the Tavistock Clinic . Since 1992, she has worked as an assistant teacher in a French Lycee in London, with children with special needs, applying biodynamic principles and creative activities. She is learning the Makaton Sign and Spoken language to add to her expertise. 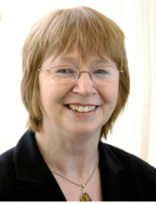 Mary Molloy graduated from Lancaster University in 1975, with an Honours Degree in Philosophy and Sociology with Law. She has been interested and involved in the human potential movement and the field of psychology and psychotherapy since 1969. She trained and qualified in Biodynamic Psychology and Psychotherapy at the Gerda Boyesen Centre in London, and has worked for over 25 years in this field in the UK and Ireland, mainland Europe and the USA. She is committed to the full integration of biodynamic philosophy and methods into the field of medicine and to substantial research in this field. Michele Quoilin qualified in Belgium as a Teacher. She has been active and involved in the human potential movement and psychotherapy from the early 1970’s. She worked as a Teacher in a school committed to the Person Centred Approach of Carl Rogers in the 1970’s in Belgium and moved to London in 1976. 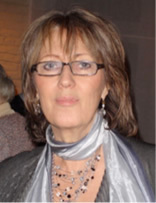 She qualified in Biodynamic Psychology and Psychotherapy at the Gerda Boyesen Centre in London and was a Senior Trainer with Gerda Boyesen in the UK and Europe for almost 10 years prior to becoming a Founding Member of the Institute in 1989. She has over 25 years experience of working with individuals and groups in the biodynamic and humanistic field. She is a Guest Senior Trainer and Supervisor of IOBM and maintains her private practice in North London and Guildford.